The Regal Elegance features botanical prints and lightwood effect throughout, creating a bright and airy contemporary home, with a large window in the lounge for the light to shine through. Attractive wood effect worktops are enhanced by the subtle pastel colour of the cupboard doors, with large open shelving and ample storage adding to thr practicalities of the kitchen. A master bedroom with a kingsize bed and good quality mattress is exactly what you need for a good nights sleep! It even comes with an en-suite toilet! 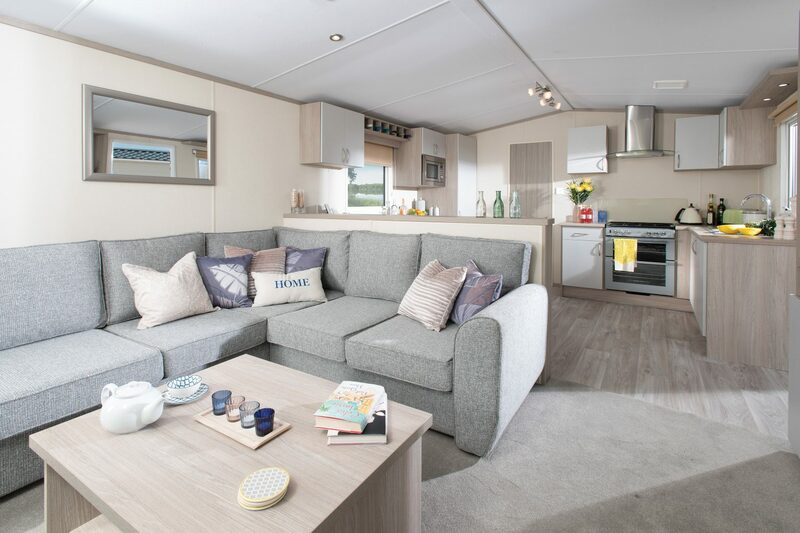 The Elegance also comes with a coffee table, free standing dining room and charis and an integrated fridge freezer.